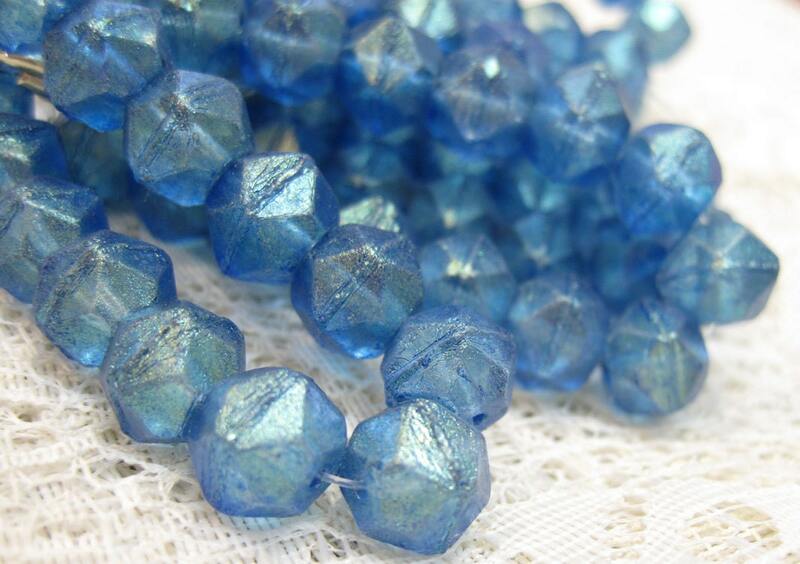 Vintage look Capri Blue Czech pressed glass large English cut beads with a golden luster finish. These are 10mm in size. 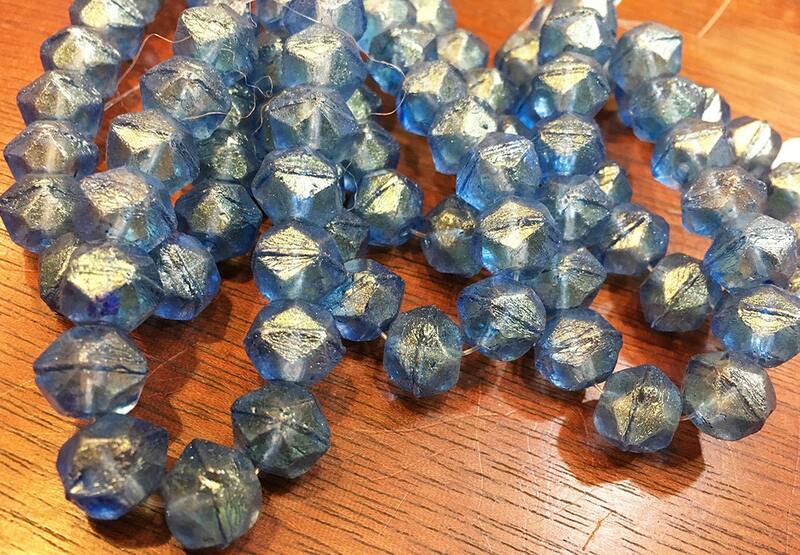 There are 15 beads per strand. Czech is the best. Excellent quality, great customer service and pricing. Shipped very quickly and carefully! One of my favorite shops! Lots of varied items at very reasonable prices. Owners easy to talk to about their items. A five star store for sure!